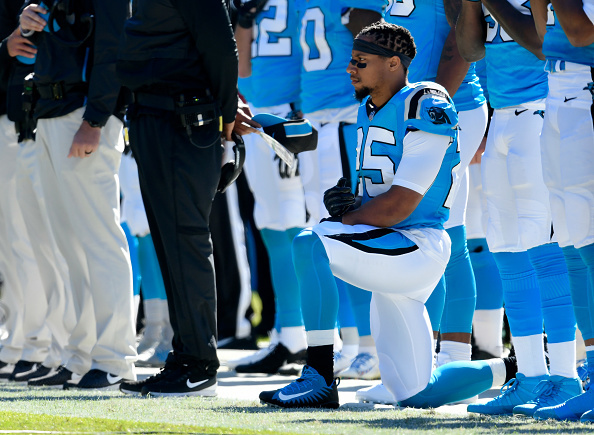 During the 2018 season, Eric Reid was finally signed by the Carolina Panthers and almost immediately, controversy began as he was picked at random for a drug test. Reid was signed by the Panthers at the end of September, after spending his first five seasons with the San Francisco 49ers. On Wednesday, the NFL and NFLPA issued a joint statement saying a report from an independent administrator showed “no evidence” that the Panthers safety was targeted for performance-enhancing drug testing this season. Reid was one of the first players to protest during the playing of the National Anthem along with former teammate Colin Kaepernick and subsequently filed a grievance against the NFL when he went un-signed during the offseason, claiming owners were colluding against him.